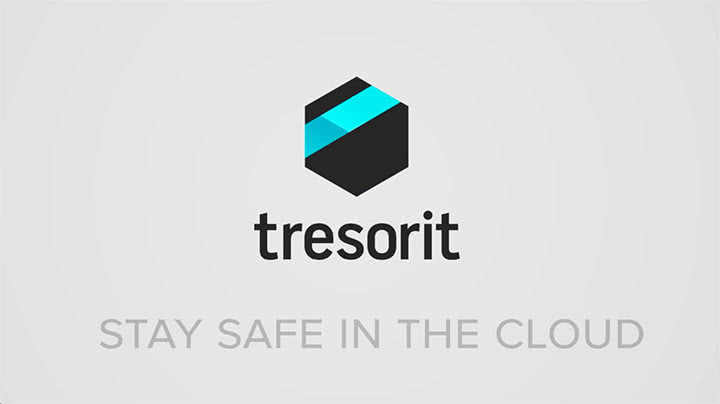 Tresorit provides a novel approach to secure cloud storage by using end-to-end encryption. We believe you should never have to ‘trust’ a cloud service. With Tresorit you don’t need to. Using end-to-end encryption, Tresorit encrypts every file and relevant metadata on your devices with unique, randomly generated encryption keys. These keys are never sent to our servers in unencrypted format. Accessing files is only possible with a user’s unique private decryption key. When working together, encryption keys that can decrypt shared files need to be shared between collaborators. Tresorit’s patented protocol ensures keys are shared automatically, without revealing them to anyone who has access to either the network or the servers managing the data. Tresorit applies a Message Authentication Code (MAC) to each file, guaranteeing that the contents cannot be modified without your knowledge, even if somebody hacks our system. Unlike other services, Tresorit never transmits or stores files, encryption keys and user passwords in unencrypted or unhashed form. Due to the strength of Tresorit’s end-to-end encryption and security, breaking this protection would take several human lifetimes. This is why we can never recover forgotten passwords, or hand over your data to law enforcement in case of a legal inquiry. Tresorit uses Public Key Infrastructure (PKI) to authenticate each Tresorit user and their devices, without storing any information about their passwords. This enables more secure collaboration and device management. Tresorit’s web-based sharing solution enables sharing files, folders, and tresors securely with anyone. Files sent via link have the very same end-to-end encryption and integrity protection as files synchronized with the Tresorit client. Password protection, download limit, and expiry date provide further protection for confidential documents. Recipients don’t need to have the Tresorit app installed on their device. Decryption happens in the browser. TLS (the successor of SSL) channel protection can be hardened through the use of client certificates. This method provides public key-based security when you connect to Tresorit servers. Only a few providers offer end-to-end encryption, but by using so-called convergent cryptography they sacrifice confidentiality to save storage space. Convergent algorithms enable them to determine when your content matches others’ content in the cloud, which can leak valuable data about you to outside observers. The data centers used by Tresorit are audited for ISO27001:2005, SSAE 16 and several other certifications. These datacenters are located in Ireland and the Netherlands and they are constantly guarded to prevent unauthorized access and constructed to protect against environmental threats. Encryption and decryption are done on the client-side. No one is able to access stored data, except for the owner and users authorized by the owner. No trust in the cloud storage provider is required. The encryption is performed with a fresh, randomly generated 256-bit symmetric key chosen by the client-side application. The encryption algorithm Tresorit applies is AES256 in CFB mode. Each file version gets a fresh, randomly chosen 128-bit IV in order to guarantee semantic security. Encryption keys of files and directories are changed from time to time, using a so-called “lazy re-encryption” scheme. This means that after the group’s membership changes, the encryption key is regenerated the next time a file’s contents change (see patent WO 2012/131407 A1). This guarantees that if you remove somebody from a group you shared files with, they will not be able to decrypt any new information they did not have access to before removed their removal. In the meantime, you don’t need to re-encrypt everything right away, saving computing resources and time. A tresor is an encrypted, sharable folder that is stored both on your device and on the Tresorit servers. When you share a tresor with another Tresorit user, Tresorit automatically shares encryption keys for all the files inside that tresor with the recipient. Tresorit is based on standard public key cryptography that has been thoroughly analyzed by experts and declared secure. Public key cryptography guarantees that even Tresorit cannot access the shared keys. This key sharing is based on RSA-4096 with OAEP padding scheme (see RFC2437), used in group mode, and PKI certificates, combining it with a tree of symmetric keys. This latter guarantees that public key cryptography calculations, which are thousands of times more resource-intensive than symmetric ones, are minimized to save you CPU power - without weakening the system’s security. Private keys are generated on the client-side, and encrypted in your profile. Proactively, your client refreshes your keys every 3 months. Public keys are distributed automatically upon sharing by Tresorit, using anonymized PKI certificates. Anonymized PKI certificates protect your privacy, because they do not contain any personal information except your email address. Anyone who would like to share a tresor with you will only get access to your personal information if you consent to it by accepting the invitation. Ensuring the integrity of files is crucial, especially in a business. Tresorit guarantees that the files's content cannot be modified without your knowledge, even if somebody hacks our system. Tresorit clients apply a Message Authentication Code (MAC) to each file’s content, with a key known only to the user’s client and those they share the file with, but not by the server. Tresorit uses HMAC-SHA512 with a random key for each different file, and encrypts local profile files in GCM mode, which provides the same security with higher performance. The server sends the challenge request and the stored salt to your client. Your client calculates the derived key with PBKDF using the received salt, and sends the response back, which is the HMAC of the challenge with the key calculated from your password and the salt. Device management is becoming even more crucial as we store more and more data on our mobile devices, outside the protected perimeter of the office network. It is important to be able to revoke access to sensitive files from a device if it is lost or stolen. The termination of an employee or business associate contract presents similar challenges. Tresorit uses public key infrastructure to authenticate your devices, and share your encryption keys among them, with separate keys for each device. When you revoke access from a device, the key of that device is banned on all servers and by all your remaining devices. This means that your lost device will not be able download and decrypt any content. We use multiple PKI (X.509v3) certificates for each of your devices and separate public keys for data encryption, signing digital signatures and TLS authentication. The device-specific private keys are stored on your device, and not synced to other devices. This guarantees that you can revoke access from any of your devices at any time. We use CRL, a standard type of PKI-based revocation. For rapid access revocation, we also use custom checks to revoke your certificate even before a new CRL is generated. Sometimes you need to share just one file with someone who may not be a Tresorit user. In non-encrypted cloud storage services, you can use a so-called public link to do so. This is achieved by the service provider’s servers sending unencrypted content to the browser where the link was opened. This is not a zero-knowledge solution, and puts data at risk if the cloud provider is ever compromised. Our encrypted links offer a zero-knowledge alternative which makes sharing single files possible without requiring a Tresorit client. Encrypted links can be used similarly to public links: you post or send a link to someone, which has an authentication token inside. The link allows the recipient to download the file. However, the decryption key is stored in the link and is never sent to Tresorit servers. Thus, the content of the file remains encrypted on the server, and is never accessible by Tresorit. One crucial difference between sharing a tresor and an encrypted link: public key cryptography is used to establish a secure key exchange when sharing a tresor. Encrypted links contain the secret key without additional protection. If the encrypted link is accessed by unauthorized parties while being transferred to the recipient via email, for example, your data can be accessed. Therefore, we developed a password protection feature as an additional security layer for encrypted links: for each link you share, you can create a password that is required for downloading the file. Besides, you can also set up a download limit, create link expiration date, and revoke the link completely. When you open a TLS protected website, the green https:// scheme name tells you that the identity of the server was authenticated by your browser, and that communication is encrypted. However, if only the service provider’s server is authenticated with TLS, but you as the client are not, there’s a chance a hacker may impersonate you and gain access to your content. Although Tresorit's end-to-end encryption would help in these cases, too, as a hacker would only be able to access but not read the content of your files, we apply TLS authentication to users, not just the server. This makes protection stronger. Each Tresorit client receives different PKI certificates for each device, with which the application can establish a much more secure connection to the servers. Most current cloud storage providers - even those who claim they have end-to-end encryption - use so-called deduplication to save storage space. Their servers check data before upload and compare it to what’s already there. If the same content has been uploaded by someone else, the servers don’t upload it again, simply creating a link between you and the existing data. In encryption, semantic security is a must have - if you encrypt the same content twice, the two ciphertexts should be completely different, and nobody should be able to compare and match them without knowing their decryption keys. A system which performs deduplication is by definition semantically insecure. Tresorit uses random keys for each file and random IVs for each version of a file. The result is that two identical files look completely different after encryption. It becomes impossible for Tresorit or anyone else to compare and match them. We don’t sacrifice security to save on storage costs. Tresorit runs in Microsoft Azure datacenters, which are audited for ISO27001:2005, SSAE 16 and several other certifications. See the full list here. Tresorit servers are located in highly secure, Microsoft Azure datacenters in Ireland and the Netherlands. These datacenters are constantly guarded to prevent unauthorized access and constructed to protect against environmental threats. Tresorit applies all patches of third party system components continuously, and updates Tresorit server and client software regularly to ensure we run the latest, most secure versions. Tresorit users can set up 2-Step Verification via voice call, text message, dedicated app and email to provide an additional layer of security when logging in to their accounts.